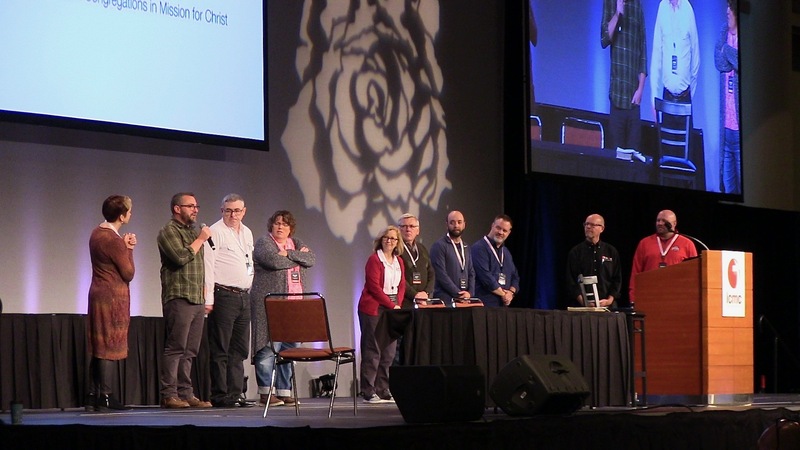 Videos from our 18th Annual Gathering and Convention, which took place October 7-10, 2018 in Des Moines, IA, are now available for streaming! To watch from our mobile app using your smartphone or tablet, simply tap on the "Media" tab, then select "2018 Annual Gathering" from the list of options. As a reminder, the LCMC App is compatible with Apple TV and Google Chromecast, allowing you to use it to stream content directly to your TV screen. If you prefer to watch online, video content can also be found on our website under Events > Media. If you haven't already done so, be sure to mark your calendars for our next Annual Gathering, September 29 - October 2, 2019 in Omaha, Nebraska. 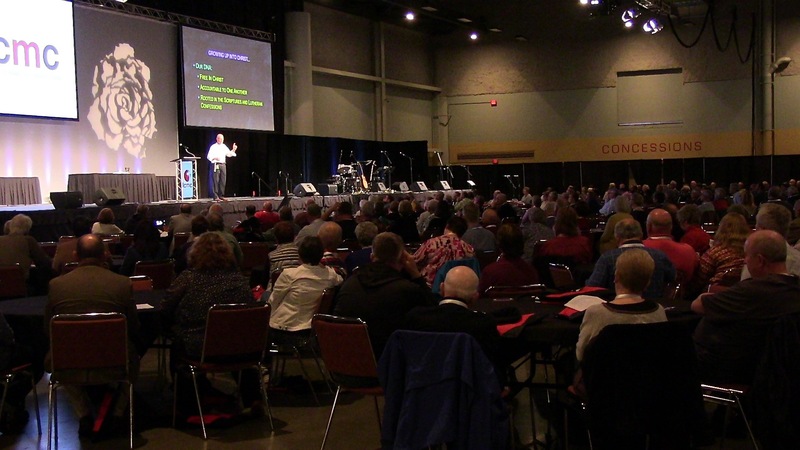 A total of 792 members of Lutheran Congregations in Mission for Christ joined together October 7-10 in Des Moines, Iowa for the association’s 18th Annual Gathering and Convention. The total included 474 delegates, 275 church members, 22 seminarians, 11 guests, and 11 members of the LCMC staff and Board of Trustees. The event kicked off Sunday evening with dinner followed by an opening worship service preached by LCMC Service Coordinator Mark Vander Tuig. Dr. Kent Hunter from Church Doctor Ministries took the stage as this year’s keynote speaker. Bible studies were led by Jo Kinnard each morning. Throughout the four day event, participants also took part in table discussions, fellowship meet-ups, and breakout sessions, plus had the chance to network with one another and to connect with dozens of the mission and ministry vendors present. During the business session, Jason Eliot (Area 7), Steve Hagler (Area 2), and Jeremey King (Area 1) were newly elected to the LCMC Board of Trustees. Jeff Wold was elected treasurer at large. Other current board members include Brodie Taphorn (Chair, Area 5), Julie Smith (Vice Chair, Area 3), Darrin Vick (Secretary, Area 6), and Sue Gunderson (Area 4). The board thanked former board members Laurel Swanson, Enrique Estrada, and Sean Kelly for their service. The event concluded on Wednesday with a closing worship service preached by Perry Fruhling, LCMC’s Coordinator for Pastoral Ministry. Just in case you missed the live stream during this year’s event, the LCMC staff plans to have videos of the speakers available in the LCMC App and on our website (under Events > Media) after the new year, so stay tuned! If you’d like to be notified when videos become available, please opt-in for “General” notifications in our mobile app [here’s how] and/or subscribe to our monthly e-newsletter [here’s how]. For a digital edition of this year's book, check out our mobile app or find it on our website under Events > Media. Our 18th Annual Gathering and Convention is officially underway! For those who are tuning in from home this year, a live webcast of the event will be available on our website (www.lcmc.net/live) beginning October 7, 2018 at 7:00 P.M. (Central Time) and ending at noon on Wednesday, October 10. Downloadable copies of this year's Annual Gathering Book can be found on our website under Events > Media as well as in our mobile app. Our book contains a copy of the event schedule, details on this year's speakers, photos submitted by LCMC congregations, and more. Videos of our speakers will be available in our mobile app and on our website under Events > Media in winter 2019. We will make an announcement once all videos have been posted, so be sure to subscribe to our e-newsletter, or sign up to receive "General" notifications in our mobile app [here's how] if you'd like to be directly notified. For those attending the Annual Gathering this year, be sure to tag your posts on Twitter with #LCMC18AG and/or #LCMCgrowingup for a chance for your photos to be featured on our screens. Just a few weeks ago we completed the second “Called 2:” youth event. It was once again held at the campus of Grand View University and was led by pastors, leaders and teachers from our association. This is unlike any other youth event with which people may be familiar. We are not trying to gather thousands, entertain them, wow them, or make them question everything they may have learned in Sunday School. This is discipleship, leadership development, and a commitment to strengthen the mission and ministry of the local church! When this idea was first presented it was about ministry, not so much at the event, but after. We wanted to challenge the students to consider God’s call on their life and how they might be useful to God as His ambassadors for the ministry given to God’s people—the ministry of reconciliation (see II Corinthians 5: 16-21). We had to do more than just tell them they are ministers though, we needed to find ways to equip them for ministry. Everything we intended to do was to help them to be effective as Jesus’ ambassadors in their own school, church, community, and family. There was also a second priority. We wanted to challenge these students to consider the vocation of ministry as well. In my experience, pastors come out of the mission and ministry of the local church. That’s what happened to me. As I participated in the ministry of my local church, I just knew there had to be a better way to draw people into a relationship with Jesus. I have dedicated the past 40+ years to that idea, including being a charter member of this association. Would there be a way to help students see that the vocation of ministry can be meaningful, exciting, encouraging, miraculous and worth giving a life to doing? We invited pastors to share their stories of both the good days and bad. But always pointing to Jesus who is the Lord of the church and Lord of our lives. There is no greater life than following Jesus, and for some of us to follow him into the vocation of ministry. Did we accomplish the goal? I don’t know, we’ll see in the years to come. What I do know is this. We had such a tremendous response to this summer’s event, that we are going to do it again. 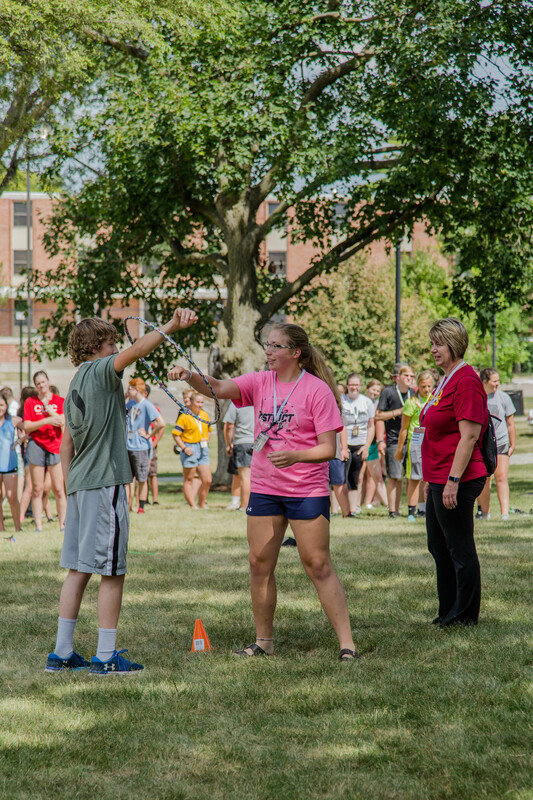 The next “Called 2:___” national youth event will be held on the campus of Grand View University in Des Moines, Iowa from July 21-24, 2020! We are getting ready for our 18th get together in Des Moines, Iowa! I like to think of our gathering as more of a family reunion than anything else. It is a time for us to connect, network, renew old friendships and make new ones. But why would you bother to go? Why would you make the commitment of time and money to attend? There are some very good reasons, I want to share a few of them with you. At some point in the history of your congregation you made a decision to join our association. You had congregational meetings, you had discussions and finally took a vote. 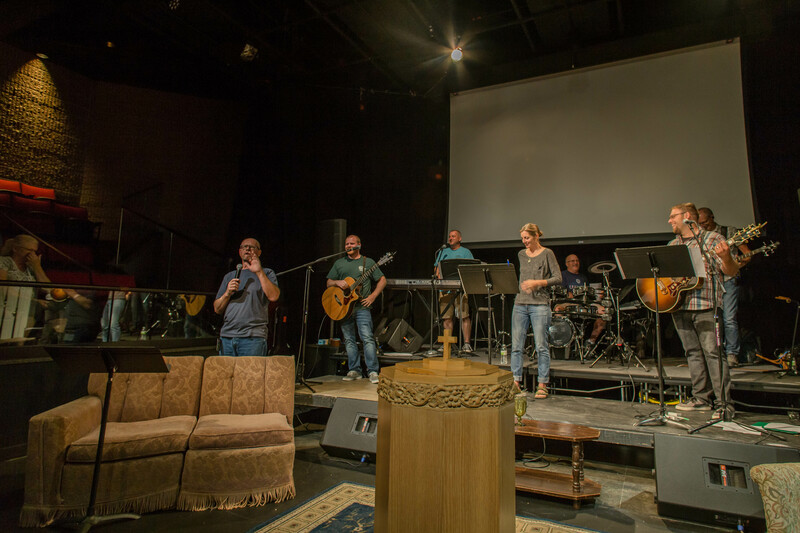 We don’t ask for much, because we believe that the congregation is the front line of ministry, but what we do ask is this: be a part of God is doing in LCMC. You will not know what the Lord is up to in this church body unless you pay attention and participate. In our congregations we all have people who rarely if ever attend and yet they are on our “membership list”, for many of us, this is confusing. Why would you join something and not participate? Our annual gathering is not like any other church body meeting you have ever been to. We don’t have long, drawn out business meetings. We don’t have one committee report after another telling us about things that really don’t matter to the life of the local church. We don’t have endless greetings from people who are not part of LCMC and who we will never see again. We have some business to do, yes, but what we do applies only to the association, not to the congregation. We have elections to the Board of Trustees and we vote. We have keynote speakers who challenge and inspire us to carry out the work of the church. We have breakout sessions, each one designed to strengthen the ministry of the local church. We have times for prayer, worship, and singing. We have fun. There are times when we feel isolated, disconnected and tired, both as congregations, as pastors and leaders, and as individuals. Our gatherings are meant to be encouraging to each other as we try to follow Jesus into our communities and around the world. Just as individuals, we are baptized into a family of faith, and are now part of the Kingdom, we are bound together in our association. We need each other. Attending the gatherings of our association help you to see that you are a part of something, you belong and you are not alone. You can find all the information to register for this next gathering here. Come along, be an active participant in what the Spirit of God is doing in LCMC! We are in this together, we need each other and now is the time to join us October 7-10 at HyVee Hall and Convention Center in Des Moines, Iowa! Early bird registration ends September 1st, so be sure to sign up soon in order to attend for the best rate! It's already the middle of July, and we have a great lineup of events planned for the next few months. As you're making your travel plans this summer (if you haven't done so already), please don't forget to register for any events you may be planning to attend. Not only will registering in advance help to ensure our staff can provide the best possible experience for everyone, it can also help you save some cash! Register by September 1 to Beat the Price Increase! The LCMC Annual Gathering and Convention is a four day event featuring keynote speakers, worship and Bible study, breakout sessions, and vendors, and is great opportunity to get connected with other people in LCMC. Our theme this year is "Growing Up", and we've invited Dr. Kent Hunter of Church Doctor Ministries to help us to consider how congregations of any size can be focused on the Great Commission and develop a kingdom mindset. Jo Kinnard will be returning this year to serve as our Bible study leader as we reflect on the text of Ephesians 4. It is time for our churches to “grow up” and become mature, hearing the call for every member to carry out the work of ministry as God has designed His Church to do. The event takes place October 7-10, 2018 in Des Moines, IA. For more information and to register, visit www.lcmc.net/annual-gathering. Learn more about yourself and your calling, network with pastors and other seminary students in LCMC, and ask any questions you may have about the LCMC call process at our 2018 Seminarian Retreat. The retreat is open to seminary students and their spouses and is subsidized by LCMC, so the cost to attend is only $50 per person with meals and lodging included. The event takes place October 5-7 (the weekend before the Annual Gathering) at Riverside Bible Camp in Story City, IA. For further details and to register, go to www.lcmc.net/seminarian-retreat. Church planters and missional-types are invited to take part in a retreat immediately following this year's Annual Gathering. There is no cost to attend, but meals and lodging are on your own. The retreat takes place October 10-11 at Lutheran Church of the Cross in nearby Altoona, IA. For more information and to register, visit the247network.com/retreats. For more upcoming events, check out our calendar. LCMC church planters and missional types are invited to The 2:47 Network Church Planting Retreat immediately following the LCMC Annual Gathering at nearby Lutheran Church of the Cross in Altoona, Iowa. “The Next Generation” discussion starts at 2:00 pm on October 10th, and wraps-up by noon on the 11th. There is no charge to attend, but lodging and meals are on your own. For greater details and to register, see The247Network.com/Retreats, or contact Dan Clites, LCMC Coordinator for Church Planting Development, at dan@lcmc.net. There are still a few more weeks to submit photos for our 2018 Annual Gathering Photo Contest. The theme of our 2018 Annual Gathering is "Growing Up", and to help illustrate this concept throughout our book, we would love to see photos of service projects, outreach events/activities/programs, mission trips, creative/artistic projects, disaster relief, or church planting efforts from any and all age groups within your congregation! 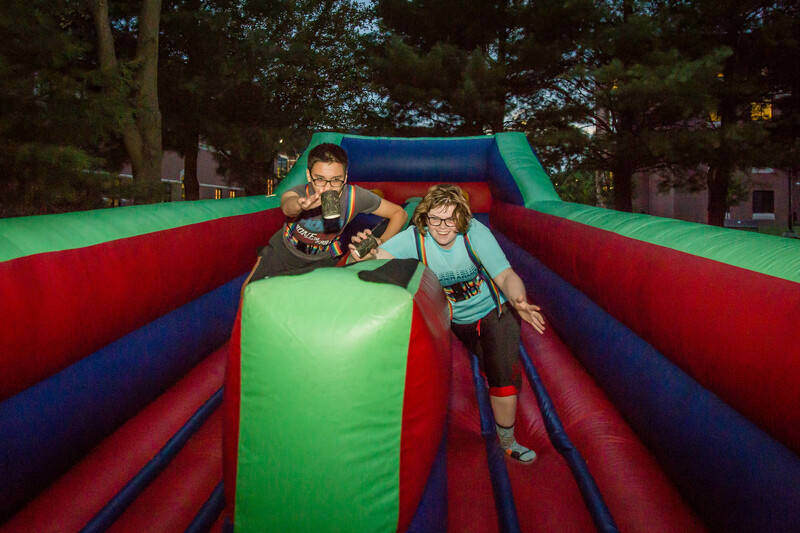 Photos must be submitted by a congregation member, pastor, or church staff member who is part of an LCMC congregation. Go to www.lcmc.net/2018-photocontest and review the photo guidelines. Upload a photo, fill out the entry form, and click "submit". All eligible entries submitted by Monday, July 16th will be considered for publication in this year's Annual Gathering book and on our website. 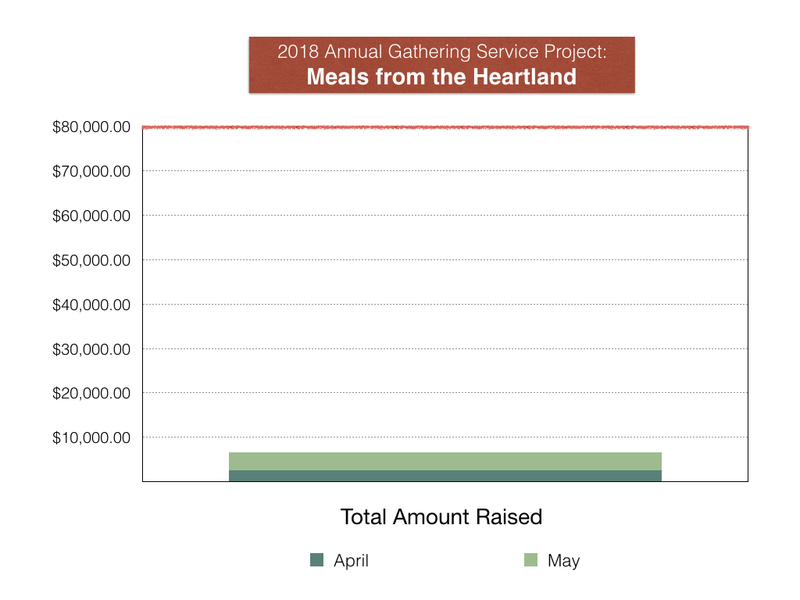 To date we have raised $6,534.59 for our Annual Gathering service project with Meals from the Heartland! To learn more or make an online donation towards this project, CLICK HERE. 100% of donations received will be used to purchase supplies for this project. If you're interested in volunteering to help assemble meal kits, be sure to check off the appropriate box on your form when you register for the Annual Gathering. "Growing Up" is the theme of our 18th Annual Gathering and Convention, and we've invited Dr. Kent Hunter of Church Doctor Ministries to help us consider how congregations of all sizes can be focused on the Great Commission and develop a kingdom mindset. Jo Kinnard will be returning this year to serve as our Bible study leader as we reflect on the text of Ephesians 4. Mark Vander Tuig and Perry Fruhling will preach the opening and closing worship services respectively. For our service project this year, we will again be teaming up with Meals from the Heartland to help feed people in need. Our goal for 2018 is to raise $100,000 for supplies and package 400,000 meals between the Annual Gathering and our Called 2 Follow youth event in July. Participants can sign up to help assemble meal kits by checking off the apporpriate box on their registration form. For those who would like a chance to connect with other people in LCMC, we will again be offering a fellowship dinner in addition to several other fellowship meet-ups. New for 2018, participants at this year's event have the option to sing in a combined choir duing the closing worship service. To sign up, simply check off the appropriate box on your registration form. The event also includes breakout sessions, vendors, and worship, plus time for fellowship, networking, and discussion. Registration is now open! For the best rate, be sure to sign up by September 1. The LCMC 18th Annual Gathering takes place October 7-10 in Des Moines, IA. Each year, the people who make up our association are invited to submit photos depicting how their congregation has been "in Mission for Christ" over the past year to be considered for publication in our Annual Gathering book. If your congregation has taken part in any projects, organized any events, or participated in any mission or ministry activities over the past year that exemplify what it means to be "in Mission for Christ", we're inviting YOU to submit photos for this year's Annual Gathering Photo Contest! Upload a photo, fill out the entry form, and click "submit"
All eligible photos received by Monday, July 16th will be considered for publication in the 2018 Annual Gathering Book. Hard copy books will be available at the Annual Gathering in October, and a digital edition will be available on our website and in our mobile app once the Annual Gathering begins. Photos will be selected based on subject matter (how closely they fit the theme), quality of the photo (not squished, blurry, or overlapped by text or clip art), and the story behind the photo (the photo description explaining how your congregation is making a difference). To help illustrate the theme of "Growing Up" throughout our book, we would love to see photos of service projects, outreach events/activities/programs, mission trips, creative/artistic projects, disaster relief, or church planting efforts from any and all age groups within your congregation! "Growing Up" is the theme of this year's Annual Gathering, which will be held October 7-10, 2018 in Des Moines, Iowa. Lutheran Congregations in Mission for Christ will once again be teaming up with Meals from the Heartland to help feed the hungry at both our Called 2 Follow youth event and our 18th Annual Gathering. In 2016, we worked with Meals from the Heartland at our Called 2 Serve youth event, raising $48,000 and packaging 80,000 meals. 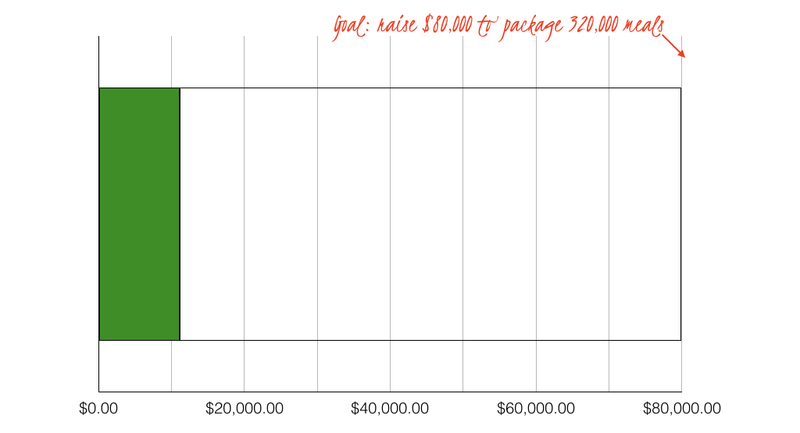 Our goal for 2018 is to raise $100,000 for supplies and package 400,000 meals between the two events. Whether or not you are planning to attend either event, please consider how you might be able to help contribute to this goal (but please consider attending one or both events — it is the best way to be a part of what the Spirit is doing in LCMC)! If you'd like to make a donation towards this project, you may do so online by clicking here, or by mailing a check to the LCMC office. We'll be making updates on our progress for this project periodically via our blog and Facebook page, so stay tuned!